Recently I was browsing fabrics online, looking for ideas for the reformation of the set of ugly chairs. I actually love these old chairs, as they were my grandparents', but I'm not too fond of the pattern of the fabric. I'm sure they were totally fashionable at the time, and perhaps some people would still love the design, but me.....not so much. It's so convenient and fun to look online, avoiding all the crowds right now in the stores. I don't like to go in the stores again until after the holiday season! BuyFabrics.com also has a wide selection of drapery fabrics and there are many discounted options available. 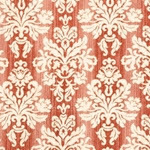 I found the site easy to navigate, and in particular, I liked that I could change the settings to look at a larger number of fabrics at once. They currently have a large Premier Prints sale that is running through December 3rd. Plus, there is a convenient Yardage Chart to help you figure out exactly how much material you would need to order to finish your project. While, admittedly, it is not in our budget to reupholster these ear chairs at any time in the near future, it's always fun to dream. What about you, readers? Do you have any projects you are dreaming of this winter? Disclaimer: I have not purchased anything from the BuyFabrics.com site, so my experience relates only to looking at the website. I was compensated for this post, but the opinions above are my own. I think your three choices would make wonderful replacement fabrics! I absolutely love the watermelon chenille. Oh I love the top fabric and I love your chairs. I love your choices! I need to get or recover our couch! It has tears from being played roughly with while being part of a pillow fort. I really like the shape of those chairs. I think any of the fabrics you chose would look so good on them! If you ever do re-do them, I would love to see pics! My list of projects just continues to be carried over year to year :-) When we bought our house, we knew it was a fixer upper, and we have done a lot, but then babies entered the mix, and we kind of lost the motivation. Now that the kids are a bit older I am hoping that we can accomplish a few things this winter. We shall see! 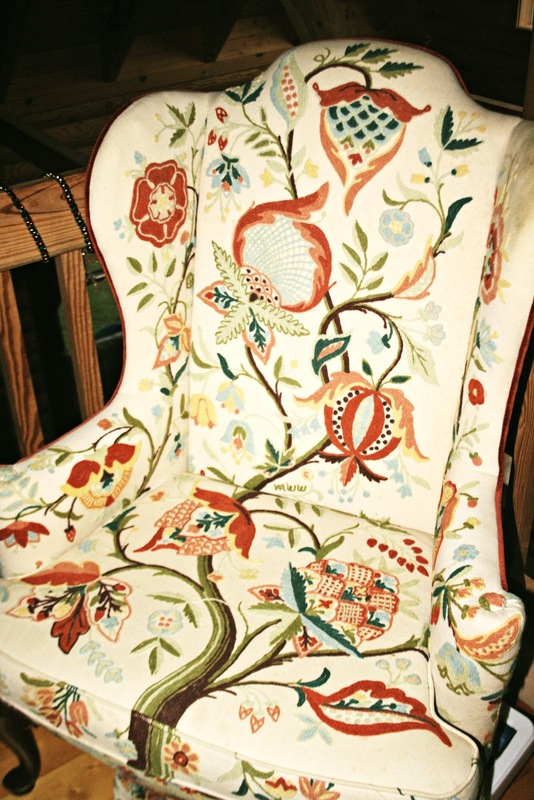 That is some really great vintage fabric on that chair! Some people would go nuts over it but like you, while I appreciate the fabric, it's not my kind of style either. Great selections on the other three. It's fun to 'window shop' from the comfort of your home. No big projects for me right now. Too much else going on although I am in the midst of making (crocheting, sewing) Christmas gifts. I think Christmas will be here before I'm ready! All the fabrics you considered are lovely and would look good on the chairs. I'd love to do some painting and refurbish an old trunk I have. I just never seem to have the time/money/motivation all at the same time! Lisa, I do like the look of those chairs. At the same time I totally understand the wish to recover something that you are not happy with. I inherited two chairs that I call "the Monet chairs" from my MIL and desperately need to get them re-upholstered. 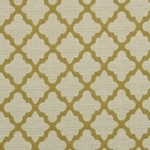 My favorite fabric from your choices there is the Casablanca citrine, even if the more practical side of me is saying that the others would hide dirt and wear for longer. i trust both of their design sense and judgement COMPLETELY!!! I LOVE the first two, both are perfect for that chair! In the next few days, I will be doing a fabric post, because I have been dreaming of fabrics also! For the possible new house! I drew names out of a hat and you won my book! I also gave your blog a mini shout out. I'll just need your address. Here is my email swag08@usiwireless.com Now you have a new thing to read in your ugly chair. It is a wonderful chair but you are right about the fabric, too loud and all over the place. Although it would look really good in a clown's dressing room. Oops, sorry!!! I don't care for the last swatch, but like you, my favorite is the middle one. Your vegetables are amazing!!!! Huge and almost too beautiful to cook and eat! That is one bold pattern on those chairs girl! lol Kind of blinding! hehehe I liked the last print the best. Great choices Lisa, but you will have to live with it for a long time so pick something you really love. The chair is so classic. Love it. My favorite pattern is Freya Watermelon Chenille. Totally me and so elegant (not me). I have that same design on a chair throw in blue and brown. I love that last one. The originals have so much character, but I kind of agree with you. Thanks for the info on places to buy fabric - I need to recover the seats on my dining room chairs! sigh. All three options are nice. I might've gone with Cafu Gold Green. When chairs hold memories of associations then they're no longer furniture. I hope you DO recover that chair! And show us! I actually like the chair and it's covering. :) It reminds me of a tree of life. :) Pretty colors! Good luck with it! I used to have a neighbor that would redo her own chairs. They turned out great. Have you thought of doing it yourself. I like the style of your old chairs too. And I don't even mind the fabric. But the watermelon fabric is quite pretty. We're working on our kitchen, so I don't want any other projects right now! I actually like the fabric that's on the chair but I wouldn't have done an entire chair in it. I think it would make a cute pillow or shopping bag. From the samples I can't tell how big the patterns are, but the watermelon chenille is nice if not too large in scale. Actually, I like all of them. But, the second one is my favorite! Something must be wrong with me. I like the first one the best. I vote for the Geo Citrine.. I like the first one! I love how you are trying to do something with the chairs! Those are pretty choices. Love the chairs. One thing about older furniture is the excellent construction! I sort of like the original fabric. :) Second one is my favorite as well.